Six years after the Global Financial Crisis, the U.S. stock market continues to soar to new heights with nary a pullback or correction. In this piece, I will explain why the stock market is experiencing a new bubble that is actually another wave of the bubble that has existed since the mid-1990s. A two-decade old bubble? Yes, you’ve read that correctly. Most people will consider this assertion preposterous, but the facts don’t lie. Though the U.S. stock market has been experiencing a bubble for two decades, it will not last forever. I believe that the ultimate popping of this bubble will have terrifying consequences for both investors and the global economy that is tied so closely to the stock market. 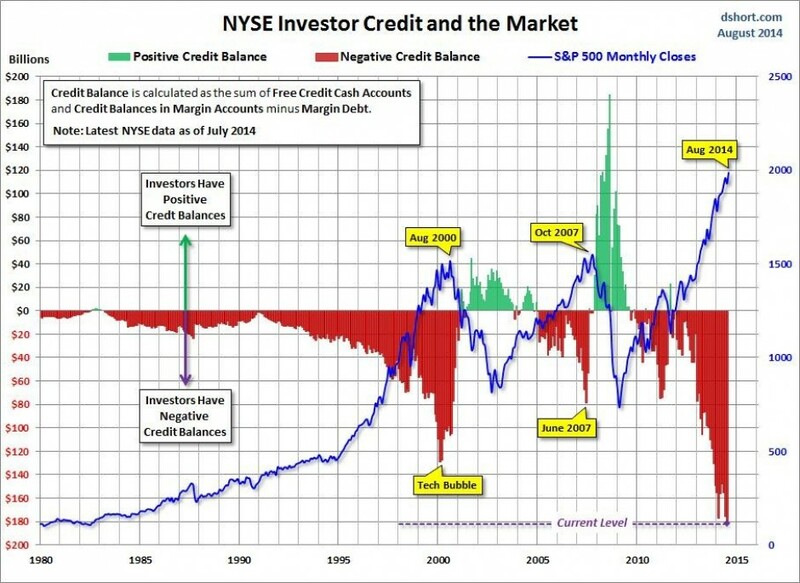 Nothing has been learnt from the madness of the 1929 stock market crash as once again traders reach for record amounts of debt to pile into rising share prices. Essentially, what we have is an overvalued market where investors have seen a prolonged period of rises and have jumped to the conclusion that the markets are all good again. However, they’re missing the critical fact that it’s all built on hot air. The best examples, like the article pointed out are Facebook, Pintrest and Twitter… all of which have never seen a profit, yet are suppoed to be worth millions and billions (Facebook). It’s a fool’s rush to the top of the financial mountain to see who the biggest idiot is before it all implodes in a financial crash likely worse than 2008’s, or possibly the worst in U.S. history.